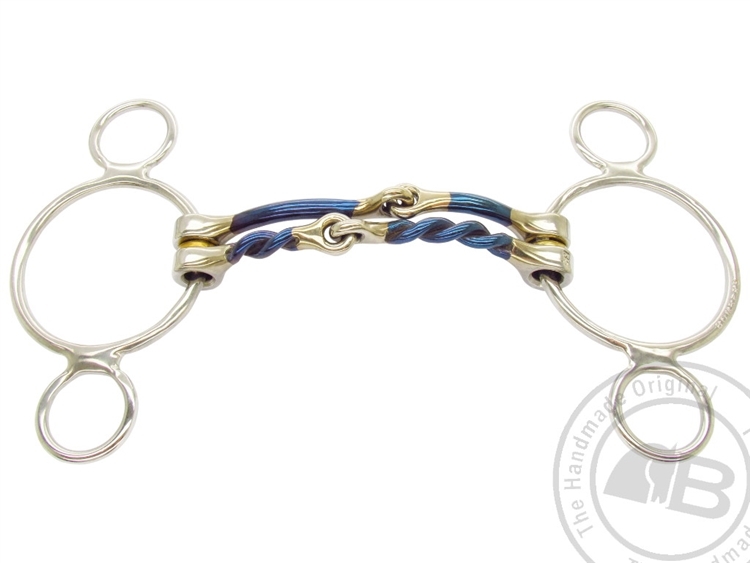 The Reversible Barrie 3 Ring is a severe bit due to the centre links of the two pieces being offset by 20mm giving it a double nutcracker action, which creates more tongue and bar pressure. Furthermore, it is a versatile bit that can be flipped and used either way. The Round Twist providing a harder bit and the Smooth and as a result creates a more forgiving and softer bit. Great bit for the experienced rider and strong older horses. A Ring cheek piece introduces poll pressure as well creating leverage on the mouthpiece. The 3 Ring is our most popular version.